Primitives by Kathy dish towels are made from strong, high quality cotton for softness & durability. 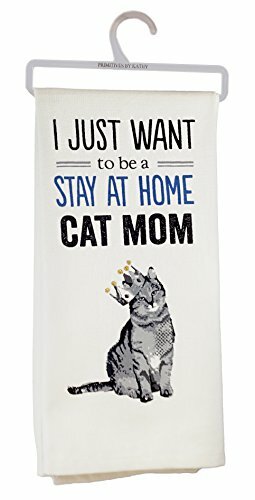 This dish towel features a cat sitting wearing a crown & says: "I just want to be a stay at home cat mom". Measures 18" x 26". What a great gift idea for any cat lover! Says: "I Just Want to be a Stay at Home Cat Mom"
What a great gift idea for any cat lover!